A few years ago, when I was still living in Southern California, I helped Jackie with her master bedroom. 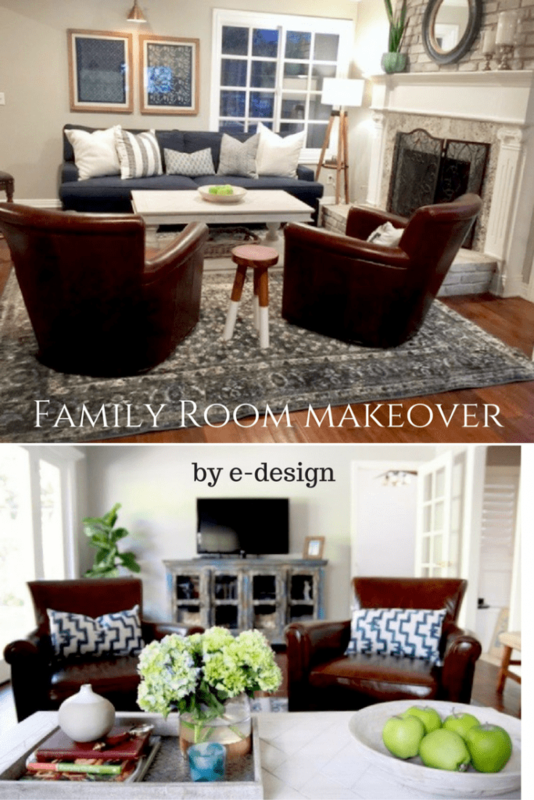 Then while in San Francisco, we did an e-design to update her dining room. Jackie emailed me last Spring regarding another makeover. This time for her family room. I may forget names…but I remember rooms! Even though I had briefly glanced at the room years ago, it was problematic. It’s long, narrow and a pass-through to another room. And I remembered the off-center window. The family has two dogs. Not all the seats have a view of the television. 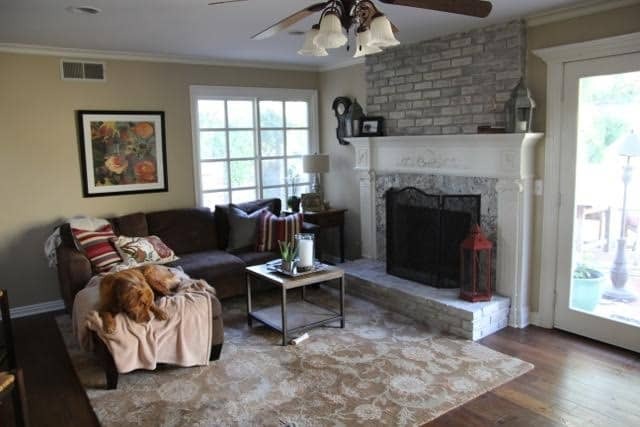 While it would be nice to redo the fireplace and mantel…the family has college tuition bills (I get that). Note: Remember when buying pillows on Etsy, don’t buy too small which are less expensive but can look like postage stamps. 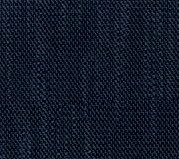 This PB Sofa in a pretty navy performance tweed stands up to dogs and pizza. To balance the window, we hung these framed ethnic textiles. They are highlighted by an aged brass sconce. 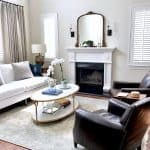 You know I like the PB leather Irving chairs and the swivel version works well to reverse to watch television. (they watch college football, like us). These chairs are small but even larger men find them comfortable and the price is reasonable for real leather. I have used them in almost all the colors. This tripod floor lamp was back-ordered, but I am glad Jackie waited for it. I suggested this CFC coffee table. Jackie found this coffee table that she liked as well. I’m glad Jackie and her family are happy. This is such a great concept, E-design. It worked out beautifully! It was really awesome to have Jackie run with the ball. This is fabulous. Jackie is so lucky to have you. You sure brought new light to a room in dire need. What a great transformation! You’ve done it again! 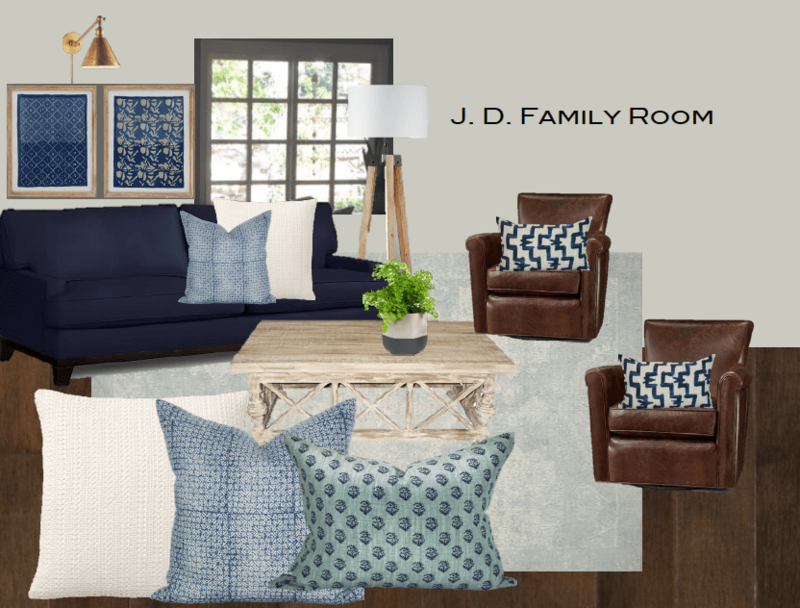 Turned a drab room into a beautiful, casual cozy retreat! It was a difficult room, but you made it work and it looks fabulous! your makeovers are always so inspirational, Thanks for sharing! Looks wonderful Mary Ann! Love the colors and we also just ordered those leather swivels from PB – very comfortable! The brass sconce over the prints doesn’t show an electric cord. How did you hide it? Was it difficult? It was hardwired by an electrician, Mary Beth. You could also plug it in if you like…it comes with a cord cover. Sorry Mary ANN THAT SHOULD SAY WONDERFUL.! Excellent work. 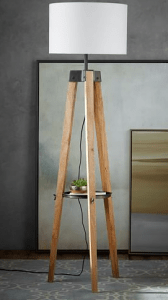 The bigger coffee table, the tripod lamp that doesn’t look squeezed in the corner….just the right tweaks. Beautiful transformation as always! Love your work! May I ask what the paint colour is? Repose Gray by Sherwin Williams, Annika. 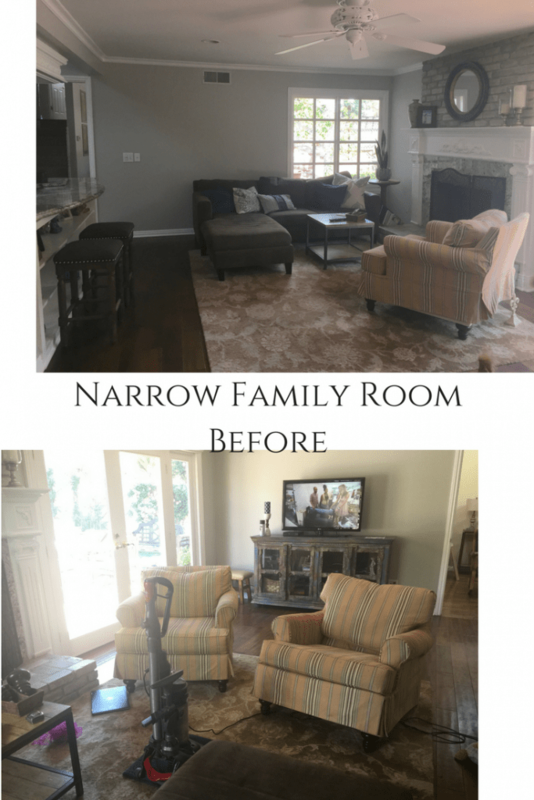 What a nice transformation for a difficult room! The rug is a great choice to tie it all together. 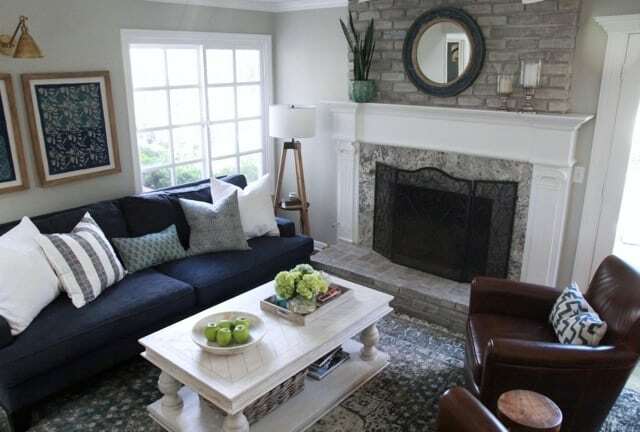 Another suggestion i might add is to replaced the fireplace screen with something a little lighter in look and feel. maybe SOMETHING in brass to tie in the sconce and mirror? love the concept of e-design. Hmmm…. seems my comments were transcribed with a little extra emphasis (unintended) on something! I don’t usually do shouty capitals and this is nonsensical. apologies. Sorry…it’s part of the fancy re-design. Thanks so much, Shelley…it’s my new blog design. The comments end up not being in all caps. I should ask my blog designer but I have inundated her with questions lately about WordPress. Are you on WordPress? What a fantastic job! I wouldn’t change a thing from what you did. I really love that your designs are both beautiful and accessible. Do you mind sharing the rug source? It was on sale at Pottery Barn, Kira, and it’s not on their site anymore. Sorry. I’m a Libra and of course I naturally (boringly?) gravitate to symmetry. However, I have noticed that when I am forced to deal with an asymmetric problem It forces me to be more creative. Love the balancing act of the art and windows. Another liveable and loveable transformation that doesn’t break the bank. In the last few years I have grown a deep respect for electricians who work magic! I’m a Libra, too. That may be one of the reasons I remembered the room so well. Jackie said that the sconce lighting reflects a glare on the art, so I suggested just taking the glass off. 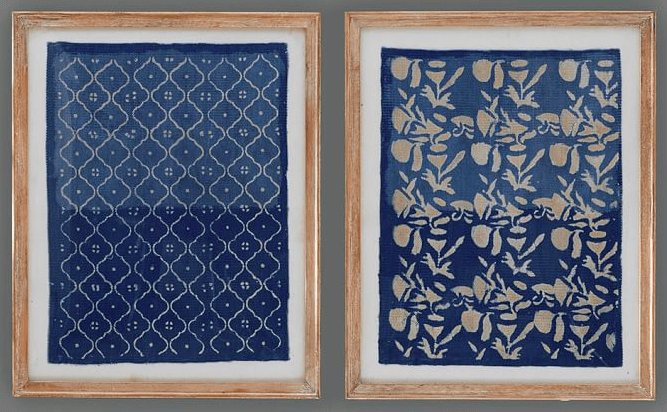 I’ve framed textiles before with no glass. 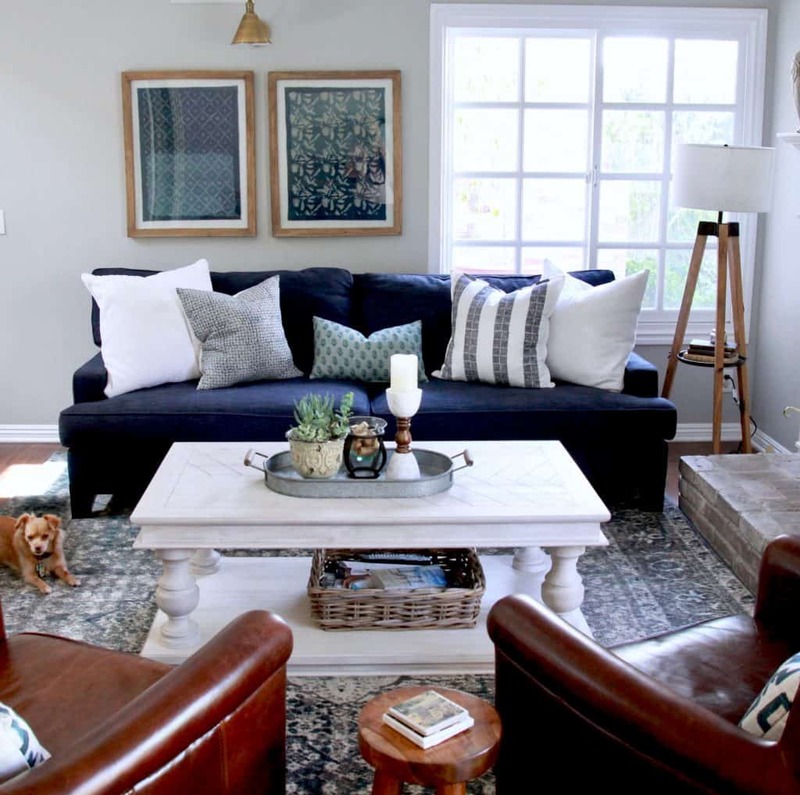 I love what you did with this space Mary Ann…..the window wall especially, and the swivel chairs! Such smart ideas that really enchanced the room. You’re amazing! Wow, I love the room, especially the way the art solved the problem of the window being so far down the wall! The furnishings are great! Good job, as usual. Those swivel chairs do a great job there. Love the fresh new look and color scheme. IT looks like a totally new room! Thanks, Carla. Have a great weekend. Great Job! I always love when designers listen to their clients…and realize that not everyone can afford to just break the bank to get the look! 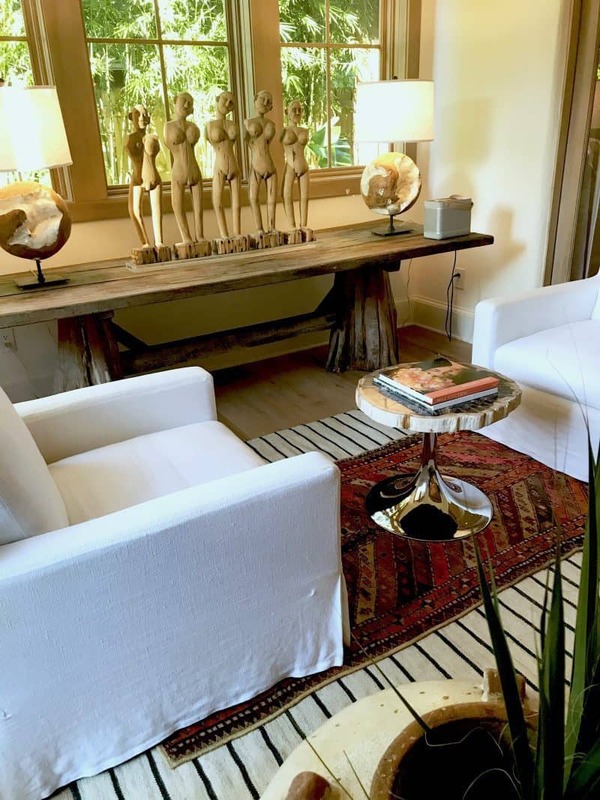 I used the Ballard Andrews console once and I really liked it….I am sure your clients were thrilled with this space. Beautiful! 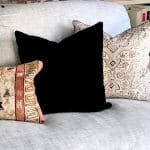 What size pillows did you use on the sofa? I’m always confused what sizes to use, but your arrangement looks fabulous! Sorry about all the caps…not sure why its coming out this way? Usually 22″ to 24″ on the ends with 22″ toward the middle. Another fabulous makeover. 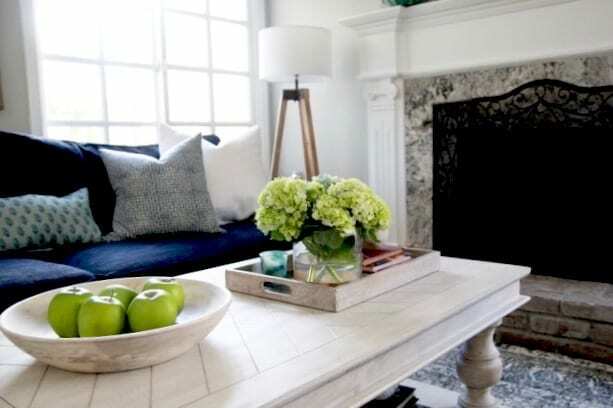 Loving the navy sofa. Thanks, Kim. LOVE your new bathroom.